The Community Foundation for Muskegon County will open a “deposit only” account with $50 for your kindergarten child beginning with the 2018-19 school year. A rewards program will help students earn additional deposits throughout the school year. Financial education and activities will be offered to your student and family. Your child can make withdrawals for any educational expense after high school. KickStart to Career is designed to encourage hope, build savings, assist with career training or college expenses, and increase financial education. The program is managed by the Community Foundation for Muskegon County (CFMC). Each kindergarten student attending a public, private or charter school in Muskegon County, has the opportunity to be the beneficiary of an account at ChoiceOne Bank, opened with a $50 deposit from CFMC. This is a deposit only savings account, which means the funds remain on deposit until CFMC approves a withdrawal for future education and training expenses. CFMC holds the accounts for the benefit of the student. Your child will be named as beneficiary on the account. I already have a Michigan Education Savings Program (MESP) 529 account for my child or was planning to start one. Can we still participate? Yes, you can still be a part of the KickStart to Career program in addition to other education savings plans. Please see a financial advisor to ask questions about the MESP 529 or other college savings plans. How do I start my child’s account? Accounts are started automatically for all kindergarten students. If parents would like to opt-out of a KickStart account, please contact the KickStart coordinator at info@ktcmuskegon.org or 231-767-3655 before February 15, 2019. Do I have to provide my child’s Social Security Number or other identifying information? No. Because the CFMC is the owner of the account and it is held for the benefit of the child, a student’s name, address, date of birth and school ID number is all that is needed. This information is provided to CFMC and our financial partner by the school district. What information about my child will be collected and shared? Student name, address, date of birth and student ID number will be shared with CFMC and the program’s financial partner. Additional information may also be shared in order to receive a student reward. Shared data will never include things like individual grades or test scores. No information will be shared outside of program partners. What fees will be charged to the account? The account is not subject to fees. No, deposits of any size are welcomed and encouraged. How do I make deposits to my child’s account? Financial partners will offer “KickStart Days” in your child’s school. You can also go to your district’s financial partner branch to make a deposit. Please see the full list of partner locations under the ‘Grow Your Account’ tab. How can my child earn rewards deposits? Each school year, you will receive information about specific reward deposits your child can earn that year. Who can inquire about my child’s account? Coming soon, parents or guardians will receive information about an online system that will allow them to view deposit records and update addresses. Yearly statements will be distributed at the end of the school year. How will I know what my child’s account balance is? After signing up for an online account you can view balances at any time. Online access information will be shared after accounts are opened. You may also call the KickStart to Carer Coordinator to ask for an account balance update. Yearly statements will be provided for your child. How can funds in the account be used? Funds can be used for any qualifying educational expenses after high school. Such expenses may include, but are not limited to: tuition, mandatory fees, books, supplies, and equipment required for enrollment or attendance, or for any other necessary cost of attending school, including travel to and from school, or for school application fees. How do I make withdrawals from my child’s account? As graduation nears, information will be provided to explain the withdrawal process. CFMC will approve your withdrawals for qualifying educational expenses. Please contact the KickStart to Career Coordinator to discuss the possibility of an early withdrawal of family deposit funds. How long does my child have to use the funds in the account? The account will close in December of the year your child turns 26. What if my child joins the military before college, or takes longer than normal to complete their education? 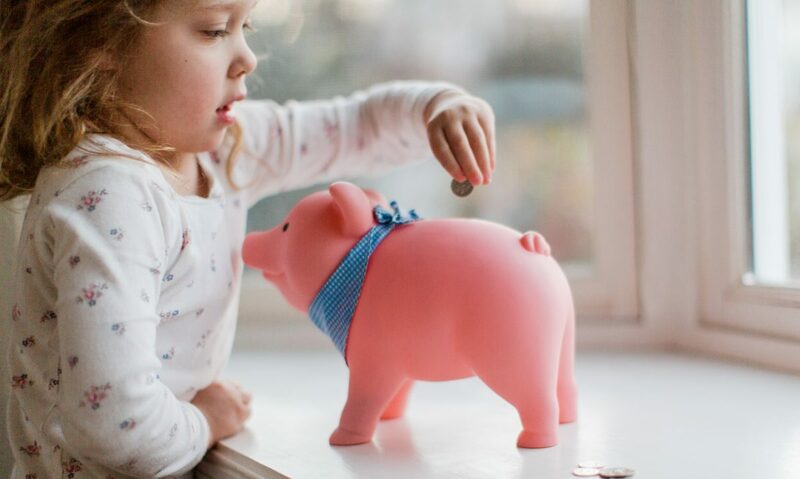 Please contact the KickStart to Career Coordinator to arrange an extension to the closing date of your child’s savings account. What if my child doesn’t use all the funds in the account? If there are any funds remaining, you can contact the KickStart to Career Coordinator and complete an Education Completion Withdrawal form. They will then pay your child the total private fund balance (deposits that you have made). Does the account earn interest, and if so, how is it paid? Yes, accounts earn interest. Interest will be compounded periodically and will be credited to accounts at that time as a savings reward. Do I or my child have to claim the interest earned as income? The Community Foundation owns the account and any interest earned will not need to be claimed as income for the child or family. If you move within the Muskegon Area Intermediate School District your child is still considered a participant in the program and can continue to make deposits and request withdrawals for qualifying educational needs. If moving outside the district, you will still have access to your account but will not be eligible for rewards deposits. Update your address by contacting the KickStart to Career Coordinator or using the online portal.